A bill that lifts restrictions on free speech policies by universities has passed the Senate Education Committee. The bill would, among other things, eliminate free speech zones on university campuses and instead designate most outdoor areas of a campus as a place for members of a campus community to express themselves. According to the bill, a "campus community" consists of students, faculty, administrators, staff and invited guests of the university such as speakers. Sen. Bob Ballinger, R-Berryville, the bill’s sponsor, says this legislation is not particularly partisan either way and the main goal is to create a campus where speech and ideas are not stifled. "What we’re trying to do here is essentially create a forum that is open and robust. Where speech can go pretty freely at least as freely as possible and still be able to conduct the business of the university," Ballinger said. Some activities that would be protected are: protesting, making speeches and distributing literature. Counter protesting is also allowed, as long as it does not violates the rights of the original protest or demonstration. Not all speech is protected, any form of expression that could be perceived as threatening or harassment, or anything that hinders the ability for some to learn would not be allowed on a campus. "We want to have free and robust free speech, but we also want universities to do what they’re supposed to do, and that is to go out and teach and to have an environment that’s conducive to learning," Ballinger said. 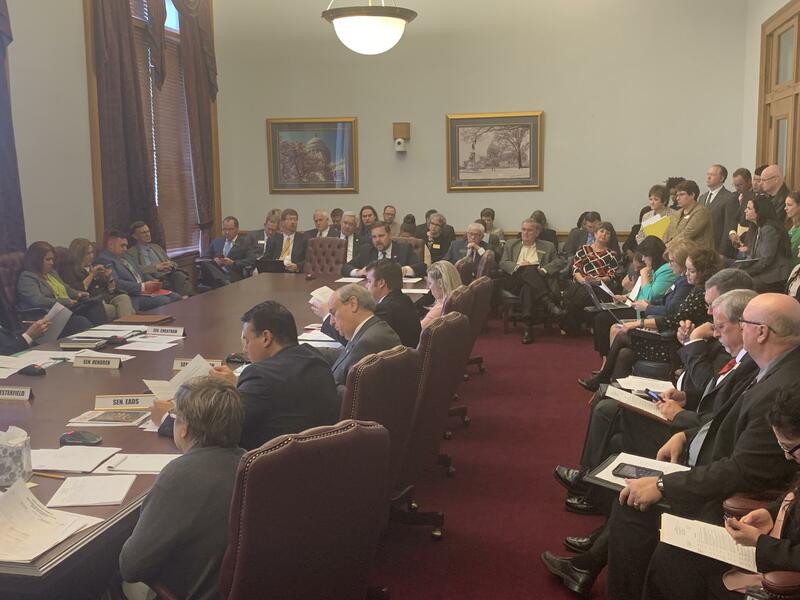 Senate President Pro Tem and member of the committee Jim Hendren, R-Gravette, asked if hate groups such as white supremacists would be able to demonstrate or protest. According to Ballinger, they could, as long as "they’re not materially disrupting the ability for the university to do its business." "If they are there advocating for violence, if they’re there to the point where it is abusive, then they would have the ability to be shut down," Ballinger said. Institutions of higher learning are also required to note such changes to their free speech policies and make them public in their handbooks, on their websites and through their orientation programs. According to the legislation, a person or student organization who believes their free speech rights were unlawfully stifled could sue the university and seek: injunctive relief, "reasonable" attorney’s fees, and expenses. Senator Linda Chesterfield, D-Little Rock, questioned the need for such legislation. "In Tinker v. Des Moines I think in '69, it was stated that students don’t leave their rights at the schoolhouse gate. With that having been the law of the land since 1969, some 50 years, why is this necessary?" Chesterfield asked. Ballinger answered that different Supreme Court rulings since then have narrowed what first amendment rights mean in some situations. The committee ultimately passed the bill by a voice vote. While no one dissented against the legislation, not everyone voted for it, instead choosing to stay silent. The bill now heads to the floor of the Senate for a vote.